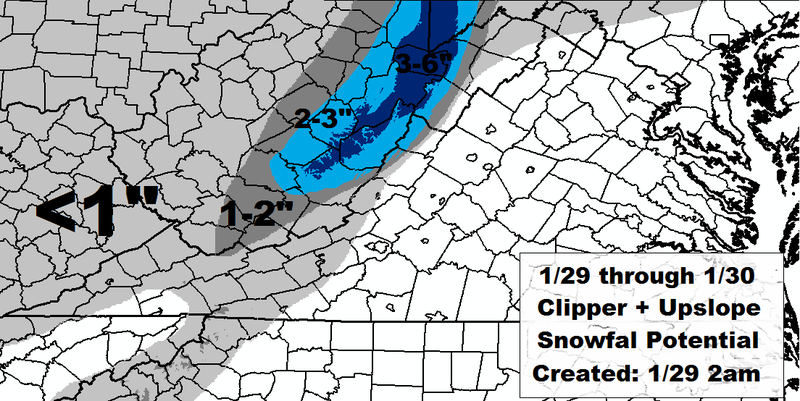 My thoughts on this evening's clipper + lingering upslope snow potential through Friday. Still tracking the more widespread wintry threat for the Sunday. The two scenarios in my last post are still on the table but guidance does seem to be leaning towards scenario # 2 (one which would feature less stream interaction and a more southern tracking system leading to a quick hitting period of light snow). The energy involved will be sampled by tomorrow which should increase confidence in the forecast one way or the other. Check back.